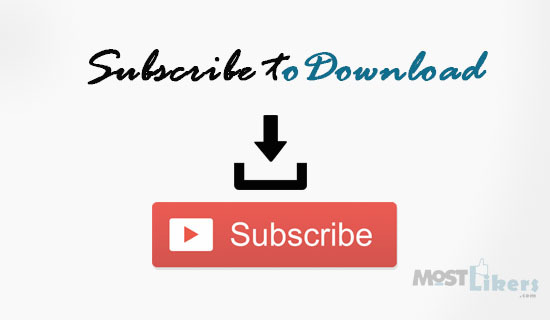 Recently i have implemented subscribe to download for facebook login download file. After that I got many request tutorials related with topic script. In this article i have explain about how to allowing file to download only for subscribed members using php and ajax. Follow and implement this logic to your website you will get more subscribe users. If your using google feed burner subscription you have to upload manually website subscriber email list to the database. New user registration with email verification. Create a new 'users' table below structure insert your subscriber list. Create a download file in any file format (zip,rar,jpeg,png,pdf,txt) save it the project path location. Downloading the file script explanation. Register new subscriber email to the database. Verify the subscriber user email id for the verification process send email with the activation link. if user activate the email email change table column value 0 => 1. Contains simple HTML code. <div id ="checking_result"> ajax error response display. $('#form_download ').click - Input email value post to the ajax_download page. Here i have used json to post and get the response. Contains PHP code. This script helps you to check email id valid or not. $zipFile - Downlaod file location. //status '0' - not verify. Export your feedburner email list insert to database. Update new user list currently I am updating manually. Wait 2 days I will find feedburenr old api code, because Google has removed that API documentation. Iam developing the ecommerce website for a monthly magazine.once the user has subscribed for annual subscription, he has to be given access to download 12 files.Once he downloads the file the download button should be disable. Iam facing issue after downloading one magazine and if the page is refreshed, the download option is getting enabled again for that user.But i need once the downloading is completed the download option should be disable for the entire downloading of full magazines.After downloading of full magazines the button should be enable.For subscribed user. I need a solution with database.Please send me source code. The moment user click the download button by using Ajax insert userid and status =1 subscribe table. In download page check whether that userid already exists or not. If tha user downloaded file, make you button disable.